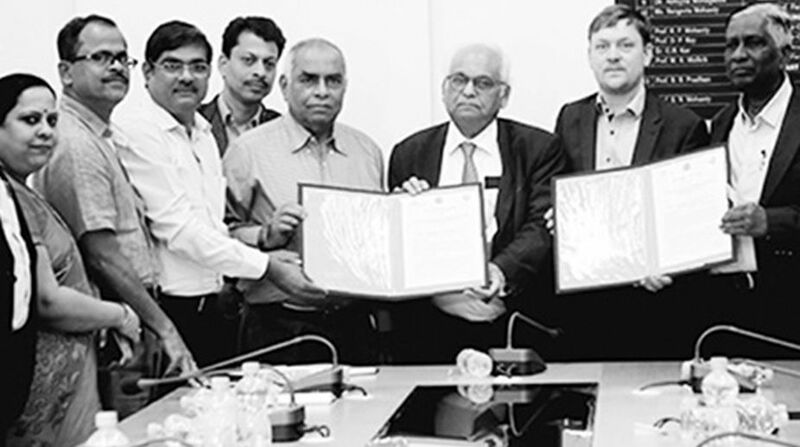 The SOA (Deemed to be University) signed a MoU with Aarhus University in Denmark and CTIF Global Capsule (CGC), developing research activities at the international level in Information and Communication Technology, for collaboration in academics, research and faculty development. Prof. Anders Frederiksen, Professor in the Department of Business Development and Technology of Aarhus University, Prof. Ramjee Prasad, President of CGC and Professor of Future Technologies in Aarhus University and Prof. P.K.Nanda, Dean (Research and Development) of SOA signed the agreement here recently. “We are looking forward to a fruitful collaboration with Aarhus University, ranked 119 in the world, through academic programmes in instruction, research and faculty development,” Prof. Nanda said. Prof. Damodar Acharya, Chairman of the Advisory Board of SOA, Prof. Anup Samantaray, Dean of Institute of Business and Computer Studies (IBCS), faculty of management sciences of SOA, and Prof.
Jayashree Ratnam of Institute of Technical Education and Research (ITER), faculty of engineering of SOA, were present. Prof. Frederiksen said Aarhus University had merged business and technology to enable students to develop their own business and learn to run it. Prof. Prasad said the collaboration would contribute to the regional understanding between India and Denmark through mutual cooperation programmes.